NOTE: Please join us for the Miles for Moffitt Volunteer Orientation, Tuesday, November 6 or Thursday, November 8 from 7-8pm at Moffitt Cancer Center 12902 Magnolia Drive Tampa, FL 33612, in the Stabile Research Building. Complimentary parking will be provided. Volunteers need only to attend one session in order to receive their race-day shirts. 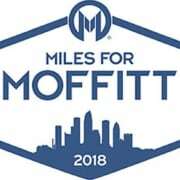 Miles for Moffitt is moving! After careful consideration on how to improve this event and continue to increase funding for research, Miles for Moffitt will be relocating to a new permanent location in Downtown Tampa. This inaugural downtown event will take place on Sat., Dec. 8, 2018. Miles for Moffitt (MFM) supports Moffitt Cancer Center’s lifesaving mission by offering to the community (teams and individuals) an annual running event. Over the last 12 years, MFM has raised over $4 million for research and hosts an average of 6,000 participants each year, making it one of the top community awareness and fundraising events in Tampa. Based on the race insurance policy, we respectfully request student volunteers age 10 and above to volunteer at the event.